Dennis Keyes came to the Vikings via UCLA where he was a three-year starter at safety and earned his B.A. in history. During his playing career, Coach Keyes collected numerous awards and accomplishments including leading UCLA in tackles his senior year and being named Defensive Winner of Red Sanders Award for MVP. Coach Keyes then took his talents to the professional ranks where he was a member of the 2008 NFC Champion Arizona Cardinals’ practice squad. His post-playing career led him to coaching where he assisted Chaminade College Preparatory to a league championship in 2012 and a California State Championship in 2013. 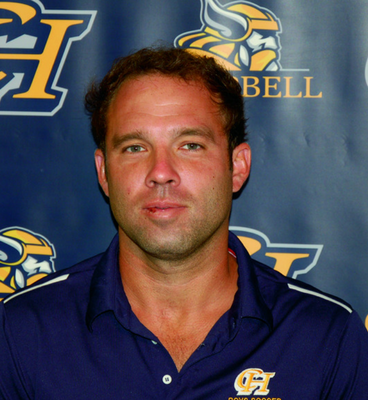 He just finished his third year as the head football coach at Campbell Hall, with the Vikings posting a 7-3 record. Robe Roberson heads the Campbell Hall volleyball program after teaching English full-time for the last five years and coaching CH girls’ varsity basketball and CH boys’and girls’tennis. Coach Roberson is also a part of the LAVA South volleyball club in the Valley. Prior to Los Angeles, Coach Roberson lived in Seattle and served as head varsity coach of University Prep’s volleyball program and led his Mercer Island-based club to several Junior Olympic Open top 25 finishes. Pasco HS and Eisenhower HS also credit Coach Roberson with several regional championships, and three top-four finishes at state, both in varsity volleyball and basketball. Collegiate coaching, too, is no stranger to Coach Roberson as he lent his coaching services to the Cavaliers of Concordia University in Oregon in 2003 and 2004. Steve Kuechel has been coaching tennis at Campbell Hall for 34 years. He’s been with the boys’ program for all 34 years and picked up the girls’ program 13 years ago. During his tenure, Steve Kuechel has led Campbell Hall to 7 CIF team titles and 6 Individual championships including 5 doubles championships in a row! The boys’ teams won CIF in 2007, with semi-finalists finishes in 1998 and 2000. He has also received numerous accolades including “High School Coach of the Year” in 2014 by the United States Professional Tennis Association and "Girls’ Tennis High School Coach of the Decade" in 2010 by the Los Angeles Daily News. He was recently elected to the Jewish Sports Hall of Fame. Coach Kuechel received his B.S. from California State University, Northridge, in physical education. Helena Selkirk ran track and field at the University of Toledo and currently runs in anything from 5K’s to marathons. Coach Selkirk has been at CH for over ten years and has coached middle school track and field, cross country, and basketball during this time, winning league titles in all three. Her 2016 track team garnered tremendous success, winning six Gold Coast League Championships, and sending three athletes to CIF Finals At Toledo, Coach Selkirk worked on a bachelor’s in criminal justice and communication with a minor in child psychology. She is currently working on her teaching credential at College of the Canyons. Jenna Marshall is a 2011 graduate of Campbell Hall and has returned to teach elementary and coach the high school cheer teams. Ms. Marshall was an avid cheerleader during her time as a Viking, which led her to carry on cheerleading at Champman University. She received a B.A. in Education from the University. This is the cheer alums second year at the helm and is happy to carry on the traditions she learned as a Vikings cheerleader. Alex Canty, from Winston-Salem, North Carolina, graduated from North Carolina Central University in 2005 with a Bachelor’s degree in Theatre Arts (BFA). 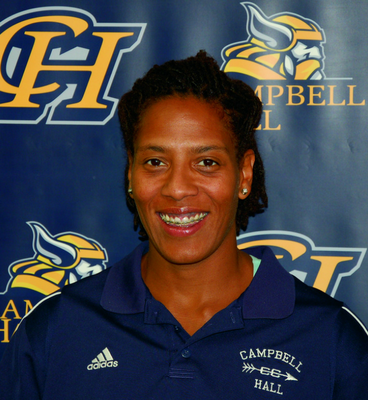 Coach Canty previously worked as the assistant Boys Varsity Basketball coach at Campbell Hall from 2008-12. He then moved to the Head Boys Junior Varsity basketball coaching position from 2012-16 and will begin his time as the Girls’ Varsity Basketball coach in the Winter 2016-2017 season. T.J. Gooding is a former Louisiana club soccer state champion, an all-district performer, and has been playing soccer for over 25 years. He is in his 14th season coaching soccer at Campbell Hall and has coached and trained players at the middle school, junior varsity, and varsity levels. Coach Gooding has seens numerous former Vikings Soccer players move on to play in college. His love of the sport drives Coach Gooding to impart his soccer knowledge to every player he coaches in a fun and exciting environment. Marty Rackham is a former professional soccer player, who holds a “B” license from the United States Soccer Federation. He led the Campbell Hall Girls’ Varsity Team to its first league title in 2009 and was coach of the 2009 California State Cup Championship Girls’ Under-16 Club Team. 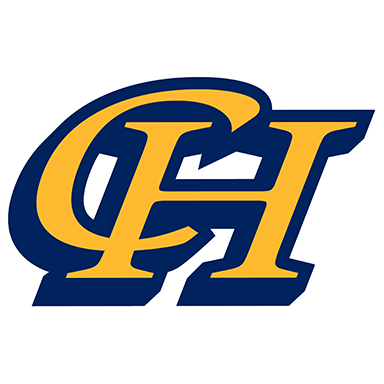 Previously, he coached the men’s team at Quinnipiac College in Connecticut. Coach Rackham currently serves as camp director of the Campbell Hall Championship Soccer Camp and is coaching the U15 Legends Club. He has been coaching at CH for over ten years and holds a B.S. in physical education from Bridgeport University. Coach Steven Tolbert is a 2005 graduate of Campbell Hall and returned to teach at his alma mater in 2014. While attending Campbell Hall, Coach Tolbert was a multiple time all league basketball player as well as a multiple time all league & all CIF football player. He was a team captain on the 2004-05 Campbell Hall State Championship basketball team. After graduating from Campbell Hall, Coach Tolbert attended Wesleyan University in Middletown, Connecticut where he earned his B.A. in psychology while playing basketball for the school as well. After graduating from Wesleyan in 2010, Coach Tolbert returned home to LA to begin his teaching and coaching career. He has coached high school basketball at various levels at View Park High School, La Salle High School, and most recently as the varsity head coach at Marshall Fundamental School in Pasadena, CA where he rebuilt the basketball program and led the team to their first playoff appearance and win in many years during the 2016-17 season. Brad Himes played baseball for five years while attending Concordia University in Portland, including a red-shirt year due to injury. Post graduation, Coach Himes joined Concordia’s staff as an assistant coach in 2009. Two years later, Coach Himes returned to his Southern California roots to join the Campbell Hall baseball coaching staff, where he enters his sixth year with the team, and fourth as the head coach. The Vikings Baseball team has reached the playoffs all four years under Coach Himes. He has a B.A. in education from Concordia University, Portland. Shauna Johnson received a B.A. in mass communication and journalism from California State Univers, Fresno and a M.A. in sport management from California State University, Long Beach. During her time at Fresno State, Coach Johnson spent two years playing softball before retiring due to injury. She began coaching at Bullard High School in Fresno where she assisted in taking the team to three consecutive league championships. After moving back to Southern California, Coach Johnson worked as an assistant at both the junior college and high school levels. In 2013, her first year at Campbell Hall, she led the softball team to their first league title in seven years. Coach Johnson also serves as the Athletic Communications Coordinator at Campbell Hall, managing Campbell Hall Athletics social media, website and various game responsibilities. Chris Holland is originally from Bakersfield, California where he played multiple sports and was a member of two CIF championship teams. Coach Holland received a B.S. in Liberal Studies from California State University, Bakersfield and earned his teaching credential at California State University, Northridge. During his 20 years at Campbell Hall, Holland has coached numerous sports including basketball, soccer, softball and golf – with his golf experience totaling more than 30 years. Off the field, he spent 13 years as the Middle School Athletic Director and has taught physical education and mathematics classes. Currently, Coach Holland is the Physical Education Department Chair and teaches middle school P.E. classes. Daniel Kohn is the strength and conditioning coach for the secondary schools which entails overeeing the direction and implementation of strength and conditioning programs for various CH Athletics programs. In addition, Coach Kohn is a member of the Physical Education department teaching strength and conditioning and pilates courses. Prior to his time at Campbell Hall, he assisted various college programs which culminated in his position as Director of Strength and Conditioning at California State University, Northridge for seven years. Coach Kohn earned his B.S. in Kinesiology at California State University, Fullerton and his Master’s Degree in Sports Management at California State University, Long Beach. He is also certified by the National Strength and Conditioning Association and the United States Weightlifing Association.